I met a family from Finland this past week, and our conversation naturally turned to play. While kids in Finland and the United States play similar games, I discovered a key difference. Finnish classrooms incorporate playtime and recess throughout the school day. All of this play is crucial to Finland's academic success, and students benefit in several ways. Ninety-eight percent of Finnish students attend preschool, but the classes don't prioritize academics. 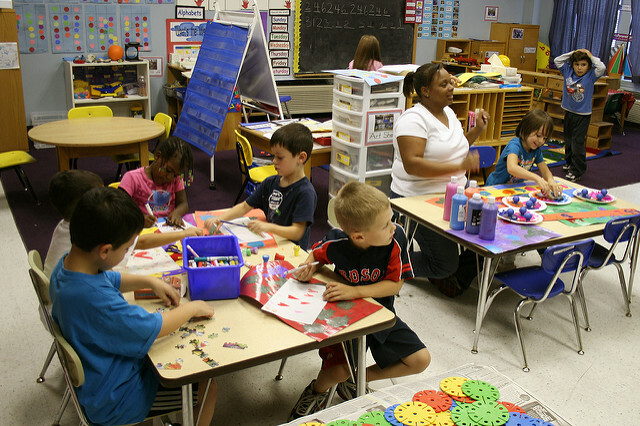 Instead, preschool classes and teachers promote a child's health and well-being. Kids play and engage in fun activities that are designed to nurture their natural curiosity, creativity, and imagination. I know that these skills aren't primarily academic, but they do prepare children for academic success when they enter school at age seven. Early education in Finland encourages kids to develop social competence as they play. While having fun, kids learn how to make friends, communicate, respect others, cooperate, and compromise. As parents, we know that these essential social skills help kids succeed academically and in life. Playful school environments, particularly for young Finnish students, focus on the joy of learning. Children have fun as they develop skills like perseverance, communication, and curiosity while they enjoy childhood. I appreciate the fact that the children learn without realizing that they are learning, which helps their formal education stick once they do begin academic studies. Finnish students receive a 15-minute play break between classes, and some teachers allow students to play an educational game after they complete their lessons. After these breaks, students return to class refreshed, ready to learn, and able to sit still and focus on the lesson during instructional time. Their comprehension improves, and they learn more in less time because they play often. I'm a big fan of free play, which allows kids to choose the activities they enjoy as they play. Finnish teachers agree. While teachers observe and assess the students to ensure that they're learning skills they need for academic and life success, the children can typically choose which activities they will enjoy. Because the students have a say in their play activities, they gain some control over their day and handle teacher-led classroom instruction better. Plus, children develop talents, build their strengths, and improve relational skills as they play. In each grade, Finnish students have fun as they learn. Starting in preschool, Finnish students take some academic classes, but they primarily play to learn. By first grade, students attend math and science classes plus art, music, sports, textile handcrafts, and religion or ethics classes. Core curriculum subjects for older grades include entrepreneurship, digital skills, and crafts. Teachers also have the freedom to conduct classes outdoors where students can participate in relay races, explore a nearby forest, and enjoy other fun exercises that reinforce their academic lessons. Classes incorporate play alongside academics so that students receive a well-rounded education and develop a lifelong love of learning. If you're like me, you know that children benefit from play. Let's take a lesson from Finland's schools and advocate for more play and recess in our children's school day. Then, our kids can improve their academic success and enjoy play time.